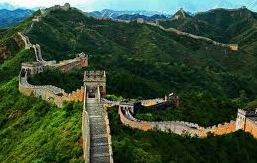 If your layover is at least 9 hours or more, – on a 24 hour direct transit or 72 hour Beijing visa free stopover, take a private tour of the Great Wall / the Forbidden City / Tian’anmen Square with transfer services to and from Beijing Capital Airport during your waiting time. Collection and return is available directly from your terminal of arrival and return to your departure terminal following your tour. The terminals at Beijing Capital Airport are numbered 1 to 3. Beijing Capital International Airport (PEK) is located 32 kilometers outside the city center, from the airport till the Great Wall area is about more or less 66 to 140 kilometers. 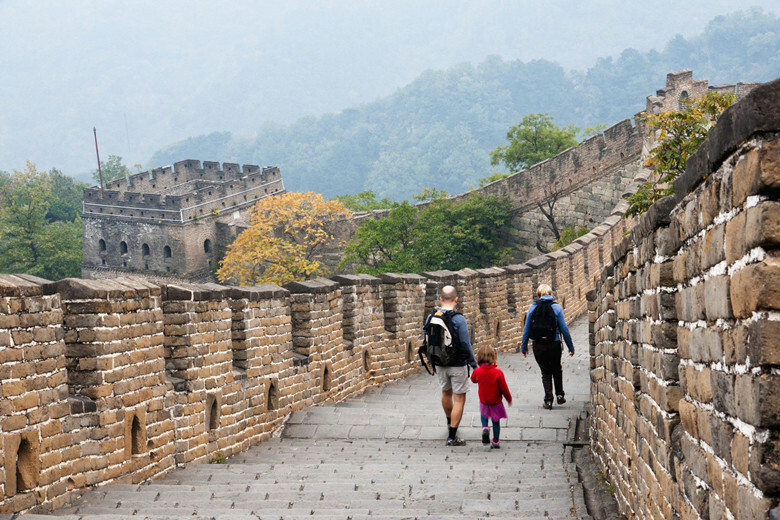 With just a couple of hours, you’ll certainly have time to take a tour of the Great Wall, stroll through old Beijing alleyways, and check out the Imperial Palace. Beijing airport (about 30 km) Tian’anmen Square & Forbidden City 1.5 hours by road. Beijing airport (about 35 km) Temple of Heaven, 1.5 hours by road. Beijing airport (about 78 km) Badaling Great Wall, 2.5 hours by road. The tour begins from the moment you arrive in Beijing. You will be welcomed at Capital Airport arrival gate or your hotel near the airport by your guide / driver holding a sign with your name, and take you to the Great Wall / city center during Beijing sightseeing tour. Your guide / driver will assist you with any reasonable request (purchase entrance tickets, stop for lunch, etc) They will arrive on time at the airport in their professional attire and their time clock will start automatically. Your luggage, if necessary, will be loaded into vehicle to make good use of your layover time. 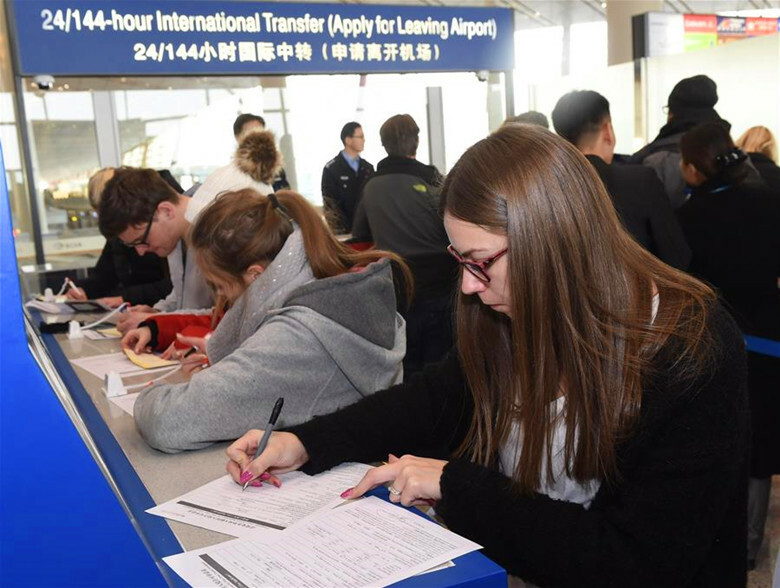 Enjoy 8 or 10-hour Beijing layover tour / stopover tour, instead of waiting for hours at the airport for your connecting flight. Following the tour you will return back to the airport ahead of your scheduled departure time, and continue with your journey escorted by your tour guide / driver. Tour times are offered according to your layover schedule. As a guideline for the Capital airport, allow approx. 2.5 hours to clear Immigration and Customs to begin your tour. Check in for flights to Europe /America is at least two hours before your scheduled departure time. Guided walks through spectacular Tian’anmen Square and the famous landmark –Forbidden City without sacrificing comfort or convenience. Recommended length of visit: 2-3 hours. Note: Forbidden City is always closed to visitors on Mondays, except for national holidays and summer vacation from July 1st till August 31st. Chairman Mao Memorial Hall at Tiananmen Square is closed every Monday. Experience historic and stunning landscape of wild Great Wall in Huanghuacheng with our friendly knowledgeable guide. Recommended length of visit: 2-3 hours. Cars, vans and minibuses, all our vehicles are modern comfortable and air-conditioned, have seat belts which can help you explore Beijing in comfort. Each vehicle can accommodate a different number of passengers and bags. 4 seats Hyundai/Camry: Recommended passengers 3 • Bags 3. The standard for frequent travelers. Our economy car offers a an elegant and comfortable choice for passengers. 14 seats Ford Transit: Recommended passengers 7, 10, 12, 14 • Bags 8, 10. Suitable for transporting small groups. 14-seats van offers a comfortable and practical space. 18 seats Joylong: Recommended passengers 15, 16, 17 • Bags 10, 12, 14. A perfect choice for company / school trip. 18-seats van has plenty of seating for your colleagues or guests. For more details, look here. We recommend wearing comfortable walking shoes. Flip-flops or heels are not very good for walking on the Great Wall / city sites for several hours. It always helps to be prepared, so check the weather forecast to see if rain, snow or very cold / hot weather is predicted. If weather extremes should occur, our drivers & guides will do their best to keep you dry, warm, or cool depending on what is needed. Note: we can supply cold weather clothes (the size may not exactly match) if you book with us 1 week in advance in winter months. Leave your luggage with us or your airline. 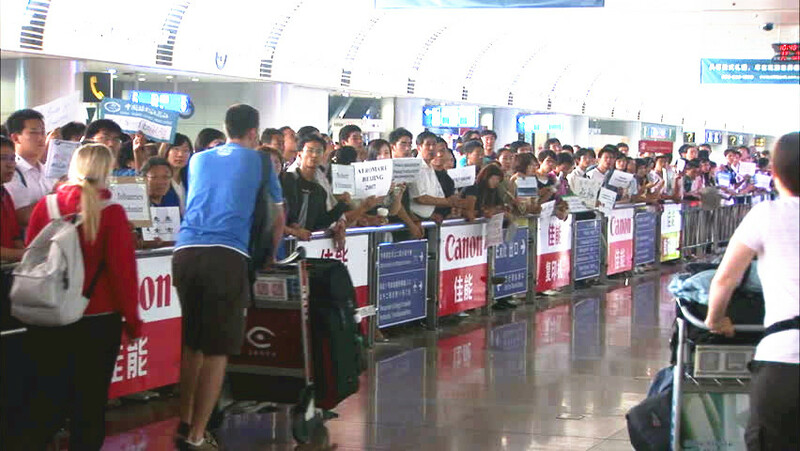 Passengers on layover tours arriving and departing from Beijing Capital airport will normally have their luggage sent to their final destination from their airport of origin. If you’re looking to ditch your bags while you explore Beijing, the airport offers left Luggage counters at all the three terminals. You can leave your luggage for few hours to few days. For more information, click here. If you will have greater luggage requirements please ask for a quotation. For example: A layover in Beijing in between flights from Amsterdam, the Netherlands to Manila, the Philippines. Luggage will be sent directly from Amsterdam to Manila. 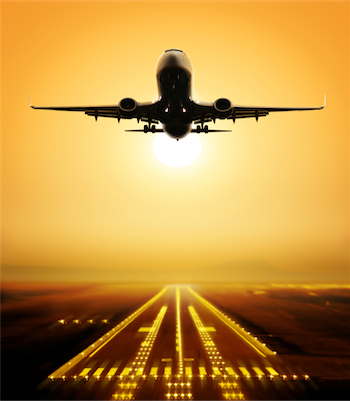 The information is only a guideline and it’s always recommend to check precise details with your airline. We are aware of how important your time is while on transit. Whether it be that you only have a few hours in between journeys or that you just want the safety and comfort of a Beijing tour after a flight or train journey, we can help. It’s advisable to exchange some money at the airport counters or ATM as the Great Wall ticket booth doesn’t take credit cards when buying entrance, cable car, toboggan tickets. Its handy to have some RMB when you arrive. There are 24 hour currency exchange counters at Beijing airport in all terminals as well as ATMs, look here for the locations. Money saving tips: Better exchange money in China rather than your country. Visiting with tour guide you will learn about the culture and history of the place on a deeper level and from a local’s perspective. A guide is your personal resource. You will be able to ask as many questions as you want. However, the cost of tour guide hire is an additional expense, whether small or large. If pre-travel research and a good guide book is sufficient for you, then a much less expensive option is to hire a Non-English / Chinese speaking driver to take you around. You won’t get as much of the history, but driver can take you to the sites, wait for you and he knows where to take you and when to bring you back. If any problem arises please call our office (+86 185 1025 4530) if there is any misunderstanding with the non-English speaking driver. If you’re interested in learning Chinese, you can download cheat sheet for English Chinese basic communication. The Free cell phone rental service is available once booking your layover tour with us. You would be able to get free local calling service upon your arrival if required. The service includes one cell phone and local calling Sim with unlimited local calls in case you need to contact us during your layover tour. This is suitable for your private layover tour without tour guide. You would be able to explore the sites on your own with 100% worry free. Cell phone will be returned back at the airport before your departure. As the chance of joining a group is low due to different arrival / departure time, it will be a private tour for you. These are ideal for families, groups of friends or even work colleagues traveling together — and you can personalize these tours to suit your group’s particular interests. It’s not necessary to purchase tickets in advance. The ticket office at the foot of the Great Wall is open daily. Cable car / toboggan tickets are available at ticket office either at the entrance or on the top. You can usually waltz up to the door and get right in—maybe you’ll have to wait all of five minutes in line. You will need cash (RMB) to buy attractions tickets. Note: you will need to show your real passport at the ticket booth when buying tickets to the Forbidden City. At Forbidden City, just look for the “passport window” ticket counter and make sure you have your passport with you. They have kept “passport window” operational since western visitors cannot currently use the online system for advance booking. Your driver / guide will meet you at the arrival exit of whichever terminal you arrive in (usually outside baggage claim) by holding up a sign with your name upon your arrival. You driver have all the flight information and will wait for you if your flight delayed. Your flight number will be used to track your flight and ensure your driver is waiting for you when you land. No charge in case of delayed arrivals. We monitor delays and update the time we send your driver in accordingly. If your flights are delayed, so the trips are no longer possible, the trips will be automatically canceled. During your trip, your driver will wait until you finish the visit of any sites, and will take care of your belongings. A cost for the car, their food and accommodation will always be included in the driver’s fee. Did you know how to enjoy 24-hour direct transit or 72-hour visa free transit? check out: Beijing Layover Transit Visa for more tips. Interested in layover tour, any questions? The quickest way to find answers to your questions is to review the most frequently asked questions. If you can’t find the information you are looking for please feel free to contact us. Fill out the form below and let us know your layover tour needs. We will send you a free no obligation proposal and itinerary, based on your layover circumstances and time in Beijing. You are also welcome to send us your tailor-made tour plan by filling the form online to book your Beijing layover tour. Note: As last admission of most sights are around 4:00pm, it is very important that we have your complete flight details, airline, flight #, arrival & departure time, as this lets us see how long of a layover you will have, and help you finalize your itinerary. If you have not heard from us within 24 hours, that means one of 2 things. Our email to you may be in your spam/junk folder, or there may have been a typo mistake on your email address. Please check your folders, write to us again and let us know. This has occurred several times recently and it was not possible to get in touch with the requester.